With Google focusing far more on answering users’ questions. So, how do we find out what questions people in our vertical are asking? It turns out that the answer is both relatively easy and suprisingly scalable, by using nothing more than a crawling tool and some basic googling. standpoint, but this can be applied to any niche market or vertical. 1. Forums are full of your vertical’s consumers and enthusiasts. 2. Forums tend to be where lots of questions get asked, and these often reveal what your audience desires, has problems with, and fears. 3. They tend to be well-organised into subsections, which helps us perform research more easily, especially using a web crawler. 4. Few marketers use them for research, particularly in terms of finding keywords, so untapped keywords, content gaps and and content opportunities may present themselves more easily. In this instance the problem or tools sections of this particular forum would work for conducting market research. The forum has lots of posts and threads, so we can assume it’s got plenty of users. The process we’re detailing is a little different for BUU than it is for Screaming Frog, but the principles are essentially the same. 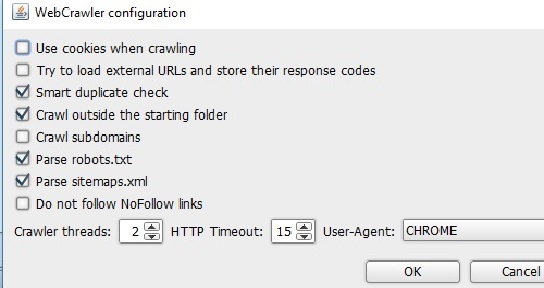 Xenu link Sleuth is another crawler option here. We want to go to Configuration first and change the number of threads downwards, so we aren’t putting in too many server requests at once. Now we just have to wait a little while for the crawl to find some pages for us. We won’t be going through the whole forum due to the number of pages on it, a few thousand pages should be enough for now. Once we’ve completed a decent enough crawl, we’ll be exporting it into Excel. 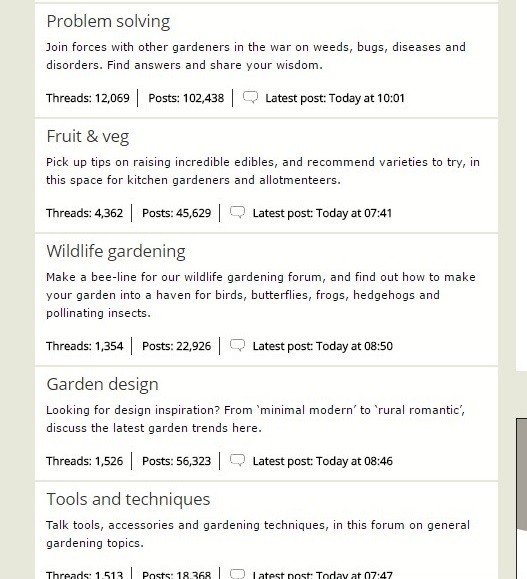 Typically, forum URLs and page titles are auto-populated with the title of the post, which is a happy coincidence as far as filtering is concerned. 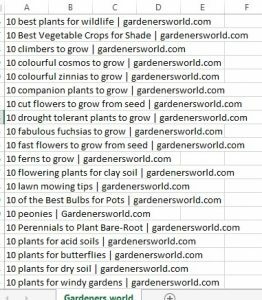 Once we have the Page URL and title in Excel, we simply need to play around a little bit. Delete everything in the sheet except for the title, as we won’t need anything else. 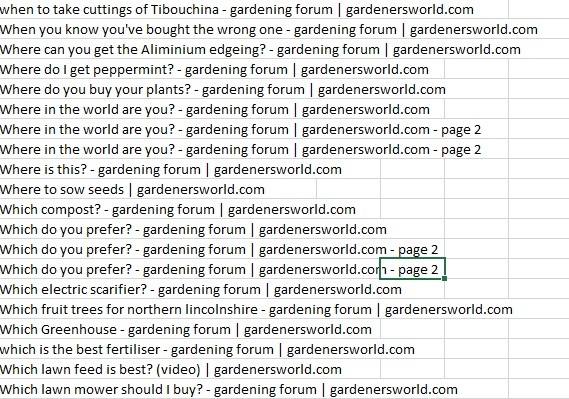 We have a few options here – either filter on A-Z and browse through the sheet looking for the typical who, what,when, where, why, how, etc, OR create a named range containing key question-related terms and run a formula through Excel. Exceljet has a more detailed step-by-step process here. the desired target audience at scale, easily amassing a substantial database of topics in the process.